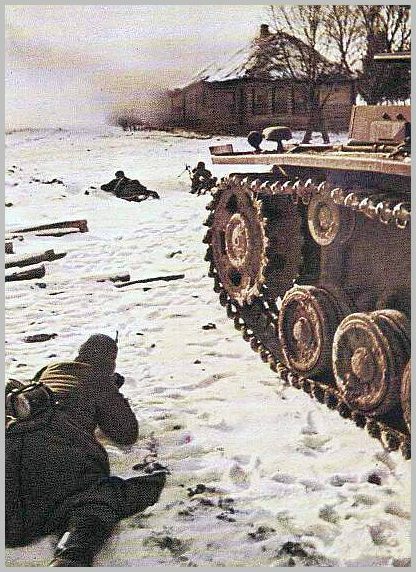 Battle for Stalingrad(1942 – 43): Unsuccessful German assault on the Soviet city in World War II. German forces invaded the Soviet Union in 1941 and had advanced to the suburbs of Stalingrad (now Volgograd) by the summer of 1942. Met by a determined Red Army defense commanded by Vasily Chuikov, they reached the city's centre after fierce street fighting. 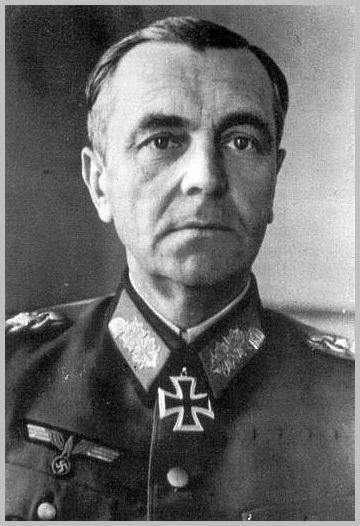 In November the Soviets counterattacked and encircled the German army led by Friedrich Paulus, who surrendered in February 1943 with 91,000 troops. The Axis forces (Germans, Romanians, Italians, and Hungarians) suffered 800,000 deaths; in excess of 1,000,000 Soviet soldiers died. The battle marked the farthest extent of the German advance into the Soviet Union. Hitler had lost the gamble. Instead of consolidating his eastern front he had gambled on the capture of Stalingrad. But Stalingrad had held out and now was striking back at his advanced columns. In the midst of Herr Hitler's frantic preoccupation with Africa the Russian winter offensive had exploded. In the central sector around Rzhev the Russians launched another attack. In both sectors Hitler's troops stumbled backward over the frozen graves of Axis soldiers who had already died in the attempt to conquer Russia. At Stalingrad. One night a fortnight ago the worn men of Major General Alexander Rodintsev's 13th Guards Division crouched in their holes in the northwest district of Stalingrad and listened to sudden thunderous cannonading. The din was their own artillery. It was the hour for which the 13th had waited. They were tough, soft-spoken men from Omsk and Barnaul in faraway Siberia. 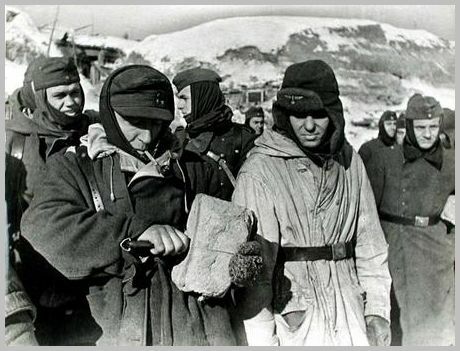 They had arrived in Stalingrad by forced marches—125 miles in one two-day trek—and there in the battered factories had taken up their positions. For six weary weeks, under almost ceaseless shelling and air assaults, hacked at by infantry and tanks, the gaunt 13th had held the ditches, the doorways, the alleys and the gutted buildings. On their holding depended the success of Marshal Timoshenko's strategy. 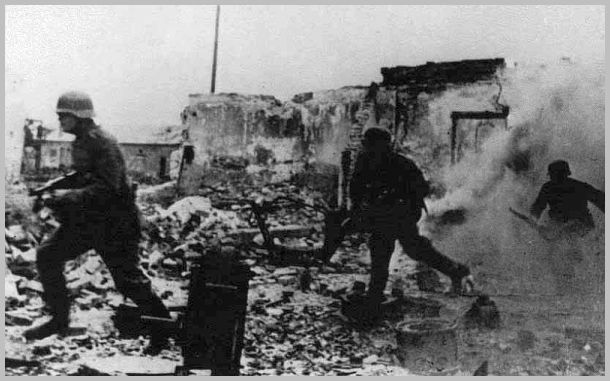 Southeast of Stalingrad, Timoshenko's forces were moving up. Under cover of subfreezing nights thousands of Russian soldiers were crossing the icy Volga on ferry boats, fishing boats and rafts, carrying with them the artillery, tanks and weapons they would need for a massive counterattack. Behind the bald, rolling Ergeni Hills south of Stalingrad, hidden by mists, they gathered and waited. In the cold dawn of Nov. 20 they attacked. "The hour of stern, righteous reckoning with the foul enemy, the German Fascist occupants, has struck," said the Order of the Day. "Make the enemy's black blood flow in a river. Comrades, into the attack!" That night we saw General Chuikov, a tough, thick-set type of Red Army officer, but with a good deal of bonhomie, a sense of humour and a loud laugh. He had a golden smile: all his teeth were crowned in gold, and they glittered in the light of the electric lamps. For there was electric light in this large dugout built into the cliff facing the Volga, which had been his headquarters during the latter stages of the battle. 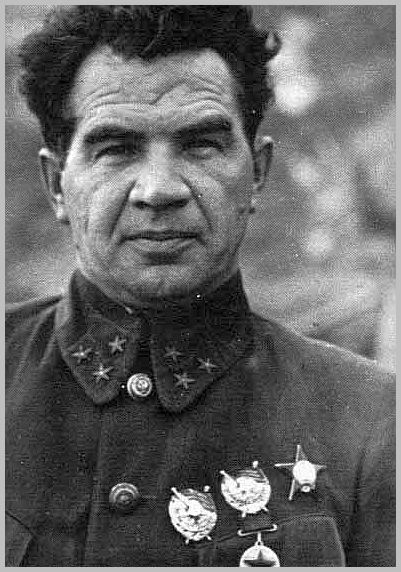 With him was General Krylov, his chief of staff, who had also survived the siege of Sebastopol.Chuikov gave us his whole evening and talked solidly for at least an hour and a half describing the whole progress of the Battle of Stalingrad. 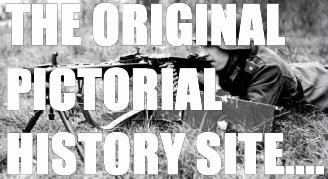 Since then he has published a full account of the battle, from which I have quoted in an earlier chapter; so I shall mention here only a few specially characteristic points of his story, as told immediately after the German capitulation. The story he told us then was, in essence, the same as that in the book, though then he did not allow himself various indiscretions, particularly about his fellow-generals and about the very uneven morale in the Red Army during the earlier stages of the 1942 campaign, which do appear in the book. He spoke of the important role played by the 62nd Army in slowing down the German advance through the Don country in July and August, then of the great German onslaught on Stalingrad on September 14, and of various stages of the battle. Then he came to the story of the 14th of October:It was the bloodiest and most ferocious day in the whole battle. Along a front of four to five kilometres, they threw in five brand-new infantry divisions and two tank divisions,supported by masses of infantry and planes... That morning you could not hear the separate shots or explosions; the whole thing merged into one continuous deafening roar... In a dugout the vibration was such that a tumbler would fly into a thousand pieces.That day sixty-one men in my headquarters were killed. After four or five hours of this stunning barrage, the Germans advanced one and a half kilometres, and finally broke through at the Tractor Plant. Our men did not retreat a step here, and if the Germans still advanced, it was over the dead bodies of our men. But the German losses were so great that they could not keep up the power of their blow, and were not able to widen their salient along the Volga. 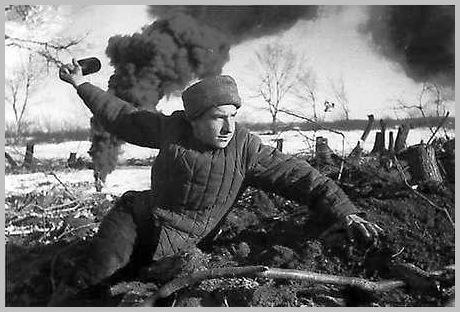 Chuikov also said that after the great counter-offensive had started to the north and south,things inside Stalingrad became much easier; all the same, the 62nd Army had been ordered to "activise" its front with constant attacks on the Germans now encircled in the Stalingrad "pocket". Chuikov spoke of his men with a note of fatherly affection. He was also popular with the soldiers; many Stalingrad soldiers later told me that they admired him immensely for his extraordinary personal bravery, and for his self-control— "There isn't another man in a thousand who wouldn't have lost his head on that 14th of October." I was not to see Chuikov again until June 1945; by then he was one of the conquerors of Berlin. The prosperous abandoned Nazi villas with their rose and jasmine bushes and the motor boats on the Wannsee seemed a million miles away from the dead frozen winter soil of that night at Stalingrad, from that icebound Volga, into which the wreckage of barges and steamers was frozen. "It's been a long and a hard way," said Chuikov that day in Berlin. "But mind you," he added, flashing his gold teeth, "speaking of those barges and steamers, it wasn't as bad as you think. It was a devil of a job getting the stuff to Stalingrad, but we got ninety per cent across for all that! " 'We will defend the city or die in the attempt,' he replied. Yere-menko and Khrushchev looked at him and said that he had understood his task correctly.That evening, Chuikov crossed by a ferry boat from Krasnaya Sloboda, along with two T-34 tanks, to the central landing stage just above the Tsaritsa gorge. As the craft approached the bank, hundreds of people, mainly civilians hoping to escape, emerged silently from shell craters. Others prepared to carry the wounded on board. Chuikovand his companions set off to find his headquarters. Grim fighting. Crawling on the snow. At eleven o'clock on the night of 16 September, Lieutenant K., platoon commander in the 112th Rifle Division, some five miles to the north, discovered the absence of four soldiers and their NCO. 'Instead of taking measures to find them and stop this act of treason,all he did was report the fact to his company commander.' At about1 a.m., Commissar Kolabanov went to the platoon to investigate. Ashe approached its trenches, he heard a voice call in Russian from the German positions, addressing individual soldiers in the platoon by name, and urging them to cross over: 'You should all desert, they'll feed you well and treat you well. On the Russian side, you'll die whatever happens.' The commissar then noticed several figures crossing no man's land towards the German side. To his fury, other members of the platoon did not fire at them. He found that ten men, including the sergeant, had gone. The platoon commander was arrested and court-marshaled. It was the bloodiest and most ferocious day in the whole battle. Along a front of four to five kilometres, they threw in five brand-new infantry divisions and two tank divisions,supported by masses of infantry and planes... That morning you could not hear the separate shots or explosions; the whole thing merged into one continuous deafening roar... In a dugout the vibration was such that a tumbler would fly into a thousand pieces.That day sixty-one men in my headquarters were killed. After four or five hours of this stunning barrage, the Germans advanced one and a half kilometres, and finally broke through at the Tractor Plant. Our men did not retreat a step here, and if the Germans still advanced, it was over the dead bodies of our men. But the German losses were so great that they could not keep up the power of their blow, and were not able to widen their salient along the Volga. "The Foul Enemy." In the Ergeni Hills the artillery awakened. That was the long awaited thunder heard by the silent men of the 13th. The cannonading kept up without break for two and a half hours, pouring destruction into the German lines, disrupting communications, softening resistance. Under its cover Russian sappers swept forward to "delouse" German minefields. Over the frozen earth rolled Russian tanks, some of them dragging artillery. Mobile cannon followed, operating in massed groups, blasting holes in German positions that had already been spotted by Russian guerrilla intelligence. Night came and there was no letup. 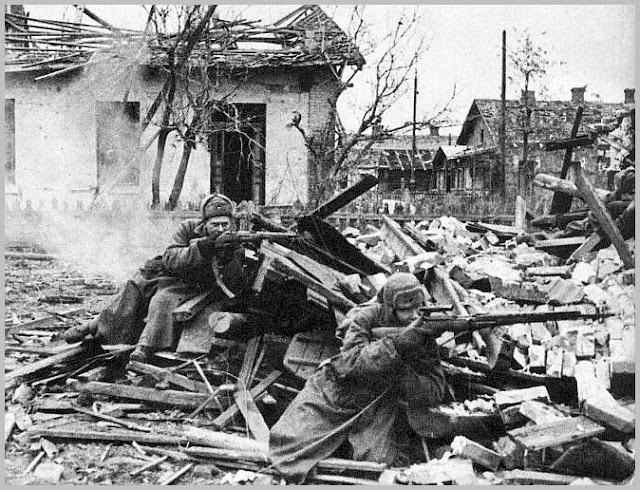 As the attack started from the south, Soviet troops north of Stalingrad also launched an assault, moving in a great arc toward Serafimovich. Their purpose was to swing west and south, meet the southern columns and close a ring around the Germans (see map). From Serafimovich prongs spread out like the curving tines of a peasant's pitchfork. From the southern force, moving along the Stalingrad-Novorossiisk railway, prongs also curved off. One jabbed across the Don, severed the Stalingrad-Rostov railway, cut back east to squeeze Axis troops against Stalingrad. In Stalingrad itself the 13th Division began to bend the stubborn German head backward. Inside the contracting area the battle became a melee. Distracted Axis troops faced in all directions at once. Panzer divisions dug in, using their tanks as pillboxes. Across the steppes galloped Cossacks in their black capes. 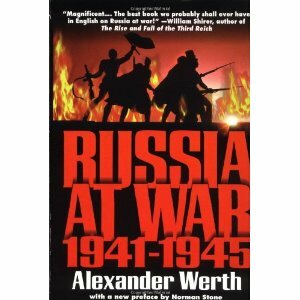 Around gutted villages roared Russian tanks, swift motor-borne Siberian infantry. During last winter's campaign thousands of German soldiers were slain as they edged backward before a battering Russian offense. But few were captured. It was a different story last week. Axis troops in suddenly hopeless positions gave up. Across the steppes plodded long lines of Axis prisoners hobbling to Russian bases, some to have frozen limbs amputated, stumbling toward the Volga in a Drang nach Osten such as der Führer never pictured. According to Moscow communiqués, 66,000 were seized in ten days of fighting. Into Russian hands fell quantities of booty: food, clothing, more than 50,000 rifles, 3,935 machine guns, 1,380 tanks. 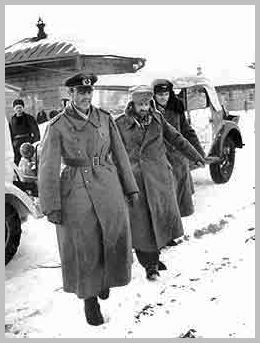 It was possible that many an Italian and Rumanian and even German soldier had lost his appetite for winter combat. Though Hitler had promised his armies that they would be properly clothed, the bitter northeast winds that drove snow and sand across the endless steppes last week blinded eyes, lashed flesh, cut through coats that were lined with mole and rat skins. But a more likely explanation for the toll of prisoners was the swiftness of the Russian attack. Hitherto, Russian assaults have been battering operations carried out largely by pedestrian troops. For the first time in the war Timoshenko had mounted an agile, Panzer-type, fast-moving attack that encircled and overwhelmed. The Germans were apparently surprised as much by this as by the suddenness of the onslaught. The Germans suffered also from lack of air support. 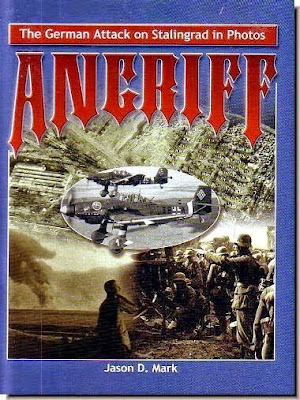 Obviously Hitler had weakened the Luftwaffe, which once ruled Russian skies, to bolster the Axis forces in Tunisia. When the fighting began, planes of both sides were grounded in heavy mists. When the mists cleared, German air bases had been captured and many German planes had been destroyed on the ground. Then it was the Red Air Forces' Stormoviks which took control of the air. At Rzhev. Six hundred miles to the north, west of Moscow, the Russians had launched another offense. It began, as the one in Stalingrad began, with an artillery barrage. The Moscow front lay under a white blanket of snow. Cossack cavalrymen wrapped their horses' hoofs in burlap to deaden the sound and get a better footing on hard crust. Artillery was mounted on skis. On their first plunge into the deep and long-held German defenses the Russians reached the village of Velikie Luki, 90 miles from the border of Latvia. Rzhev, powerful Axis anchor, was bypassed. But the Russians claimed that the line from Rzhev to Vyazma in the south was cut. If that was true, another encirclement was developing which might isolate one of the strongest fortified positions along Germany's whole Russian front. It had not developed at week's end. The Russians had isolated Velikie Luki; they had broken three rail lines and had put four German infantry divisions and one tank division to rout. 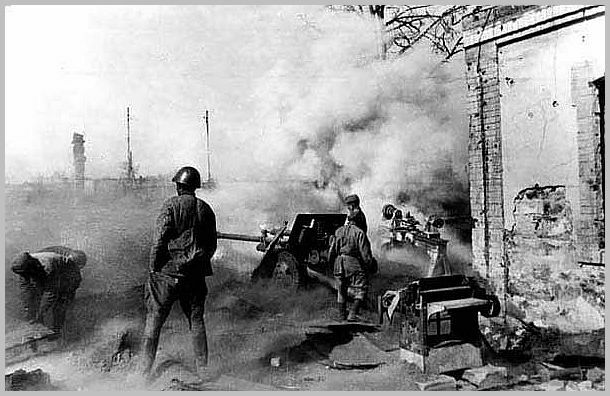 But, compared to the Stalingrad offense, the Rzhev action was so far only a knocking against the German dam. The knocking was full of potentialities. 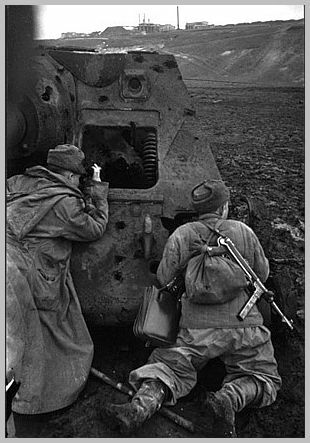 Moscow elatedly declared that it demonstrated the Soviets' ability to launch powerful offensives in two places at once. For Hitler it added complications. His communication lines were already hard-pressed, long-extended. He would not know where the Russians might suddenly concentrate their strength, where they would strike next. In the south, his force of 300,000 troops around Stalingrad were in danger of entrapment and annihilation. In the last ten days some 100,000 of his soldiers had been slain. A column that the Russians launched along the Stalingrad-Novoros-siisk railroad had traveled 90 miles by week's end, could become a threat to his armies in the northern Caucasus. Those armies had already been pushed back from Ordzhonikidze and the Grozny oilfields. Now they faced the danger of being cut off. A hole anywhere along the front—from the Caucasus to Leningrad—might open the dike to a Red flood. Later, when I got to Stalingrad, I heard the story from the man who had captured Paulus:a youngster with a turned-up nose, fair hair and a laughing face, Lieutenant Fyodor Mikhailovich Yel-chenko, whom one could not imagine being called anything but"Fedya". He was bubbling over with exuberance as he told his story—the lieutenant who had captured the Field-Marshal.On January 31—the day after the tenth anniversary of the Hitler regime, a day on which the Führer had failed to speak—the Russians were closing in on central Stalingrad from all directions. The Germans were frozen, starving, but still fighting. First, after a heavy artillery and mortar barrage, the whole square in front of the Univermag was captured by the Russians, who then began to surround the building. From time to time, flame-throwers also came into action. Yelchenko said that, in the course of the day, he had learned from three captured German officers that Paulus was in the Univermag building. "We then began to shell the building (my unit was occupying the other side of the street,just opposite the side entrance of the Univermag), and as the shells began to hit it, a representative of Major-General Raske popped out of the door and waved at me. It was taking a big risk, but I crossed the street and went up to him. The German officer then called for an interpreter, and he said to me: 'Our big chief wants to talk to your big chief.So I said to him: 'Look here, our big chief has other things to do. He isn't available. You'll just have to deal with me.' All this was going on while, from the other side of the square,they were still sending shells into the building. I called for some of my men, and they joined me—twelve men and two other officers. They were all armed, of course, and the German officer said: 'No, our chief asks that only one or two of you come in.' So I said:'Nuts to that. I am not going by myself.' However, in the end, we agreed on three. So the three of us went into the basement. It is empty now, but you should have seen it then. It was packed with soldiers—hundreds of them. Worse than any tramcar. They were dirty and hungry and they stank. And did they looked scared! They all fled down here to getaway from the mortar fire outside. "Yelchenko and the two other men were ushered into the presence of Major-General Raske and Lieut.-General Schmidt, Paulus's chief of staff. Raske said that they were going to negotiate the surrender on Paulus's behalf, since Paulus "no longer answered for anything since yesterday". It was all a bit mysterious, Yelchenko said; he couldn't quite figure out who was in charge. Had Paulus passed his authority on to Raske, or was he simply avoiding a personal surrender, or had there been some disagreement between Paulus and the others? Probably not, for Raske and Schmidt kept going into Paulus's room, apparently consulting him on the coming capitulation. Perhaps Paulus was merely unwilling to negotiate with the little Russian lieutenant direct. However, Yelchenko was,in the end, shown into Paulus's room. "He was lying on his iron bed," said Yelchenko,"wearing his uniform. He looked unshaven, and you wouldn't say he felt jolly. 'Well, that finishes it,' I remarked to him. He gave me a sort of miserable look and nodded. And then, in the other room—the corridor, mind you, was still packed with soldiers— Raske said: 'There's one request I have to make. You must have him taken away in a decent car,under proper guard, so the Red Army soldiers don't kill him, as though he were some vagabond.'" Yelchenko laughed. "I said 'Okay'". Paulus had a car duly sent for him, and was taken to General Rokossovsky's place. What happened after that I don't know. But for two days afterwards we were gathering in prisoners all over the place. And the other fellows, on the north side, also surrendered three days later. 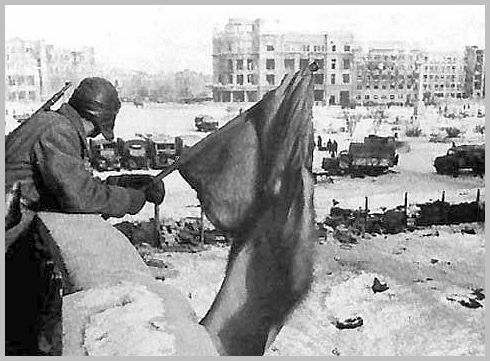 But even in this part of Stalingrad there was still some fighting for a few hours after Paulus had been caught;however, when they learned what had happened, they began to surrender without any further trouble." One thing was astonishing about these generals. They had been captured only a couple of days before—and yet they looked healthy and not at all undernourished. Clearly, throughout the agony of Stalingrad, when their soldiers were dying of hunger, they had continued to have more or less regular meals. There could be no other explanation for their normal, or almost normal, weight and appearance.The only man who looked in a poor shape was Paulus himself. We weren't allowed to speak to him [ I later learned that he had firmly refused to make any statement. ]; he was only shown to us so that we could testify that he was alive and had not committed suicide. He stepped out of a large cottage—it was more like a villa— gave us one look,then stared at the horizon, and stood on the steps for a minute or two, in a rather awkward silence, with two other officers, one of whom was General Schmidt, his chief of staff.Paulus looked pale and sick, and had a nervous twitch in his left cheek. He had a more natural dignity than the others, and wore only one or two decorations. The cameras clicked and a Russian officer politely dismissed him, and he went back into the cottage.The others followed and the door closed behind him. It was over. The victors wave their flag.